The holiday season can be a magical time...but with all the chaos, high expectations and for some of us, missing family members, it can also bring out the Grinch in each of us. The last way we want to start the new year is with disappointment and on a grinchy note. We can’t succumb...there is too much good to do and be had! So my K. Renee family and I have some ideas to help not let the Grinch steal all the good holiday feelings to be had during this time. Wear it to a party or wear it with jeans when you go to the grocery store! Actually, I find it so much more fun to wear something sparkly when everyone else is being oh, so practical. It just spreads cheer to be festive. And besides dressing up a little might just jump start your mood. Above is a sequin duster that is so easy to wear! Over a tank, tee, a turtleneck, or sheath dress...the possibilities for it being dressy and casual are endless. And I believe that every girl needs a black sequin tank in her wardrobe. Even the Grinch would feel a little more festive in sparkles. Let’s face it. Holiday shopping can be stressful. And we all know that the Grinch is a grinch because of his anxiety. We aim to take the anxiousness out of the experience by making holiday giving easy for both the men and women of K. Renee. The gents can let one of our stylists pull together what his special lady will love and enjoy a glass of wine or a nice scotch. Our stylist elves are really good about reaching out to the 'him' in your life and letting him know just what might make you thrilled to receive. But heck, the same concierge services are available to the ladies as well. Shop for yourself, your favorite friend, neighbor or those other special women in your lives. No matter what, we want it to be a smooth, relaxing and inspiring shopping venue for you - in both our clothing and home store. What can you expect? Your own personal shopper, beautifully wrapped gifts, delivery if you need and a favorite beverage while you shop. Each of you also has a gift from us for the holiday season, $50 off of your purchase of $100 or more! There is nothing better than being truly excited to give a special gift that you found for a special someone. You know the ones...the ones you contemplate keeping for yourself. These are some that I would love to give but wouldn’t mind having myself. Beautiful decanters, a sparkly belt, freshwater pearl earrings, amazing candles and a wishbone that represents all the good things yet to come! Oh, so many more...but I would be proud to share any or all of these with the special people in my life! Each year, I try to add something different in the season to my repertoire. Last year I obsessed about decorating a tree in my front yard. And this year I decided to have a holiday private house concert. What’s that you might ask? Over the summer, I was invited to a couple of these private concerts, and I was intrigued. This opportunity to host a concert in your home is the brilliant idea of a local Iowan who put together an online platform called HomeDitty (check it out at www.homeditty.com) Anyone can do it. Once you sign up to be a potential host, you have access to a network of musicians that you can book to perform in your home. All of the concerts are private events that are intimate, acoustic performances like no other! So last night, I hosted 30 of my friends and family and we had a holiday musical gathering. It was a blast! The artists were Nashville's, Danika and The Jeb. (Check them out at www.danikaholmes.com.) And they were awesome. It’s a great way to not only support artists but to have a gathering in your home that is unique for both you and your guests. I couldn’t agree more. Home is life! Our homes should be a place that we just want to be! So, if you don’t already have it...give yourself the gift of a cozy master bedroom or a family space in need of some love. And it’s not too late before Christmas! We all have at least one. I asked Stacie Schulz, one of our home stylists, what one of her family traditions were and she shared with me the anticipation of Mexican Wedding Rings. They look like snowballs, but taste like a butterball. Her family uses a recipe of her great-grandmother Della and Stacie tells me that her Dad forgoes all through December so that he can eat these delicious cookies that are sprinkled with good memories. Sift flour, measure, sift again. Cream butter, add sugar gradually and cream until smooth. Blend in flour; stir in nuts, water, and flavoring and mix well. Shape in 1 inch balls and bake on an ungreased baking sheet at 350 degrees for 20 minutes. Remove from oven and roll in powdered sugar immediately. Place sugar in deep dish or bowl so you can do multiple cookies at one time! I imagine that this might be how Stacie’s dad looks when he gets to bite into that first Christmas cookie! The only proof that we will ever need to prove the smallest gestures can make the biggest difference. And what a wonderful way to show 70,000 football patrons the power and the art of giving.There are so many people out there that are fighting battles that put our own personal Grinch moments to shame. And doing something simply to make someone else’s day just a little better is the best way I know to really enjoy the holiday season. 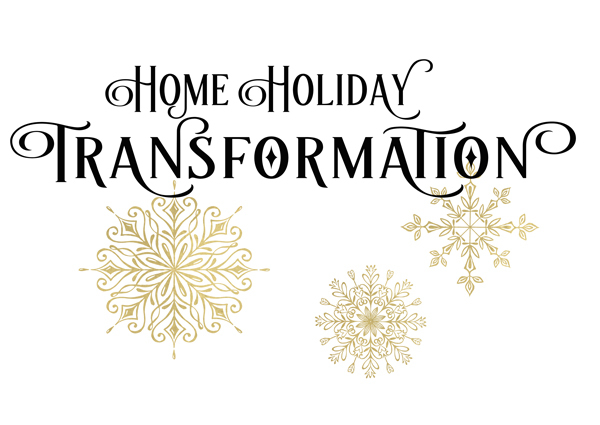 K. Renee has chosen our 2017 Home Holiday Transformation recipient, and although I would love to give you more details, we are still deciding how and when we will surprise our family with a new living room to enjoy before Christmas. But what I can tell you is their story brought us to our knees and puts every one of our own personal complaints and moments of discouragement to shame. Behind every face we see, there is a story. I try to keep that in mind when I am in a long line and getting frustrated. Or when I meet someone that seems kind of stand-offish. I know nothing of most of the battles that every one of you face, or what has happened in the moments before we connect. And I promise I will try to do a better job of just flashing a warm smile or sending a friendly wave and wishing you the warm tidings that this holiday season represents. And just like the Grinch, may we all find the things in this holiday season that make our hearts grow three sizes and find the strength of ten Grinches, plus two.